Brush Spray featuring our signature scent jasmine + vanilla. In order to prevent hair damage, it's important to never brush a dry coat. 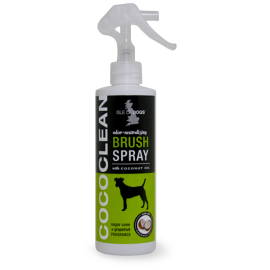 Brush spray helps reduce shedding, static and maintains a silky, healthy coat that stays cleaner, longer. 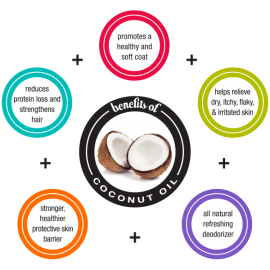 Blended with coconut oil to help improve overall skin and coat condition. Also features ExtenScent, a natural odor-neutralizing complex that extends freshness and keeps dogs smelling better, longer.